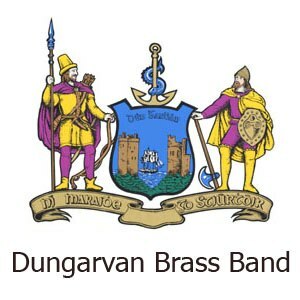 This is the website of Dungarvan Brass Band, Ireland's first brass band on the Internet. Nestled in the heart of County Waterford, Dungarvan Brass Band has provided musical teaching, performance and support for other voluntary and charity in the local community for over 140 years. Dungarvan Brass Band regularly performs locally, nationally, and even on occassion internationally at concerts, contests, parades and festivals. We you hope you enjoy our website! Copyright 2017 Dungarvan Brass Band. All rights reserved.